Public sector major NTPC is planning to invest Rs 600 crore in Mouda and Sholapur power projects in Maharashtra this year. The power utility firm is presently setting up 1,000 MW thermal power at Mouda near Nagpur and 1,320 MW at Sholapur for an investment of Rs 15,000 crore. It should be noted that the company has acquired the land at Mouda, for its first power project in the state. The firm is scheduled to start boiler erection for 500 MW by August. State run oil firm, Indian Oil Corporation has signed a deal with a consortium of banks to raise debt worth Rs 14,900 crore to fund Rs 33,504 crore Paradip refinery project in Orissa. The company said, in a filing before Bombay Stock Exchange (BSE), "IOC has signed a rupee term loan agreement for Rs 14,900 crore with a consortium of 21 lenders led by SBI today." Navratna defence PSU Bharat Electronics Ltd. (BEL) on Friday informed that its net profit for the January-March 2009 quarter grew by 10.6% to Rs 559.43 crore over the corresponding year-ago period. The company had posted a net profit of Rs 504.83 crore in the same quarter, previous year. Further, company's total income also rose to Rs 2783.03 crore in the quarter, up from Rs 2339.16 crore in the previous year-ago quarter. 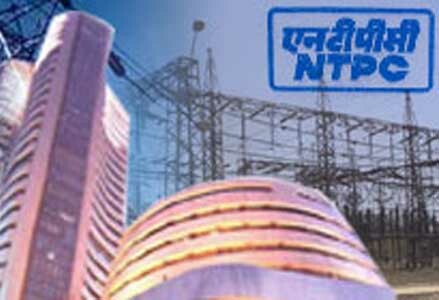 According to the Wednesday announcement from National Thermal Power Corporation (NTPC), the company’s year-on-year net profit figures for the fiscal ending March 2009 rose 5.56 percent, after deducting Rs. 1,400 crore for the employees’ wage revision in 2008-09. Rashtriya Chemicals and Fertilizers Limited (RCF) has informed that the company has undertaken a project to manufacture Wall panels, putty and other related products by using Gypsum. The company officials said in a communiqué that the project is in final stage of completion and the plant is likely to start production by end of April, 2009. In addition, the company to market these products has signed an agreement with Future Products Pvt. Ltd, to set up a Private Limited., Company (JVC). The Bangalore-based Navratna defence PSU Bharat Electronics Limited (BEL) has reported a `provisional' turnover of Rs. 4,618 crore for the year 2008-09, indicating a 12 percent increase over the year-before turnover figures of Rs. 4,102.54 crore. In terms of the turnover per employee, figures depicted a year-on-year increase from Rs. 33.16 lakh to Rs. 38.6 lakh. The value added per employee also depicted an increase from Rs. 16 lakh to Rs. 18 lakh, as BEL exports also went up nearly 15 percent - from $15.43 million to $17.75 million. 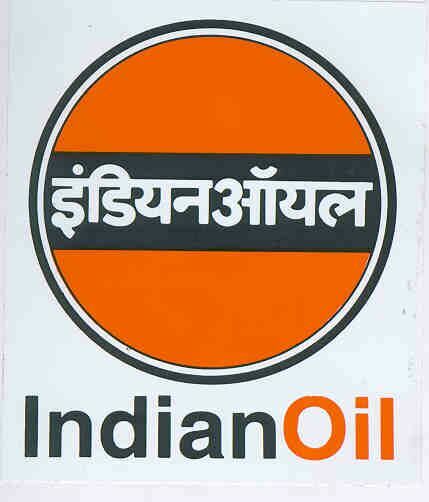 State-run Indian Oil Corporation (IOC) has proposed a 50:50 partnership to operate 1432 closed petrol pumps of Reliance Industries (RIL), having 15 per cent fuel market share by the closing date of March 2008. Other firms including Royal Dutch Shell, Bharat Petroleum Corporation (BPCL) and Hindustan Petroleum Corporation (HPCL) have also shown interest in partnership with Reliance. The private firm suffered huge losses in early 2008 due to difference in retail price of petrol and diesel sold by public sector oil companies and other private firms leading to closure of RIL's petrol pumps. Housing finance firm, LIC Housing Finance (LICHF) slashed home loan interest rates by 75 basis points, covering all existing customers who have availed loans at different maturities. LICHF Chief Executive Officer, RR Nair, said, "The incremental cost of funds has come down to around 8.25-8.75 per cent, as against over 11 per cent in October. So we have decided to pass on the benefits to existing customers." The new home loan interest rates would be applicable from April 1 in the range between 10-10.50 per cent across various maturities as compared to earlier interest rate of 10.75-11.25 per cent. Siemens VAI Metals Technologies, one of the world's leading engineering and plant-building companies for the iron and steel industry, has won an order worth euro 200 million from public sector Steel Authority of India Limited (SAIL). The order is for public sector steel major SAIL's upcoming new steel mill, which will be built at the company's Bhilai unit. For the latest awarded contract, Siemens VAI will engineer and supply three LD converters with a tapping weight of 180 tons. State-run National Mineral Development Corporation (NMDC) on February 26 paid an interim dividend worth Rs 4.01 billion to the administration. After getting the cheque from the NMDC chairman, Mr. Ram Vilas Paswan, Union Minister for Steel, Chemicals and Fertilizers, praised the company (NMDC) for its excellent performance. Mr. Paswan stated that NDMC’s 4 million ton steel plant in Chhattisgarh would come sooner than schedule. Due to inefficient management and slowdown in Aviation industry under the impact of global slowdown, Indian Railways, country's largest transporter, posted 13.17 increases in its revenue in the period between April 2008 and 2009. Railways’ revenue stood at Rs 64,876.34 crore compared to Rs 57,327 crore in the same period last year. Railways posted 13.64% increase in freight and 11.82 per cent increase in passenger revenue, as per official statement of Railways Ministry. Vijaya Bank. The Kolkata based UCO bank would get capital worth Rs 1,200 crore, through UCO's non-convertible preference shares, from center government in two installments, Rs 450 crore immediately and the balance Rs 750 crore in 2009-10. Leading public sector bank, Punjab National Bank, formally launched the Global Credit Card, acceptable in over 29 million merchant establishments and one million ATMs in the world. The gold credit card, launched by the Deputy Chairman of the Planning Commission Montek Singh Ahluwalia on Friday, will also have access to e-commerce sites besides hosting features such as photo card and SMS alerts. Petroleum & Natural Gas Regulatory Board (P&NGRB) has allowed Indraprastha Gas Ltd (IGL) to implement gas distribution network in the entire national capital region of Delhi. IGL supplies compressed natural gas (CNG) and piped natural gas (PNG) across NCR. It is a joint venture of State run GAIL (India) Ltd and Bharat Petroleum Corporation Ltd along with Government of NCT of Delhi. The Union Government has announced a huge pay hike for executives and non-unionized supervisors of Central Public Sector Enterprises (CPSEs). They had earlier threatened to start agitation in case the government failed to meet their demands. The revised pay hike would be effective from January 1, 2007. PSU officers would also be entitled to get performance related incentives besides two to three fold increase in basic pay and allowances. Punjab National Bank (PNB) has entered into an agreement with Mother Dairy, a wholly-owned subsidiary of National Dairy Development Board, to benefit the milk producers in Uttar Pradesh. According to the sources, the tie-up would ensure better prices for their produce and time-bound payment through smart cards, to be distributed by the bank. PNB stated in a release that, a pilot project has already been launched in Bulandshahr district in western UP. The net profit of Steel Authority of India Limited (SAIL) has increased by 18 per cent. Net profit for PSU steel major now stands at Rs 2,009.60 crore for July-September 2008-09 period. It has registered highest-ever first-half (H1) net profit of Rs. 3,844.80 crore. It has grown by 19.2 percent over the previous year. The company also posted a turnover at Rs. 13,544.24 crore which is highest ever turnover achieved by the PSU. The net worth of company is around Rs 27,000 crore as shown in the data up to September 30. The State owned Gas Authority of India Limited got 2nd place among global gas utilities in Asian region. The ranking is awarded in Platts Global Ranking of Energy Companies. The results of Platts Global Ranking were announced in Singapore on Monday. Almost all energy industry categories such as Coal and Consumable Fuels, Diversified Utility, Electric utility, Exploration & Production, Gas utility, Independent Power Producer, Integrated Oil and Gas, Refining and Marketing and Storage and Transfer are considered to rank them performance wise. The ranking by Platts is done on the basis of combination of asset worth, revenues, profits and return on invested capital. Total 250 ranks are awarded to companies for their performance in the respective field.